Save AED 105 (25%) – Earn 30 Shukrans What is Shukran? Shukran is the Landmark Group’s award-winning loyalty programme in the Middle East, which allows you to earn Shukrans when you shop any of our brands. 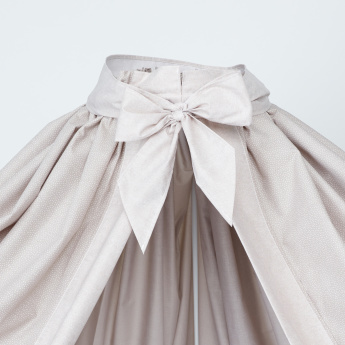 Protect your baby's eye from offending dazzling light with this elegantly printed canopy. 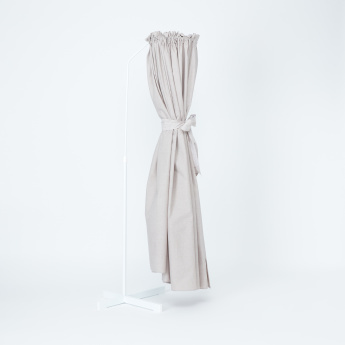 The piece is highlighted with a bow embellishment and is set in a neutral shade that will blend in aptly with any space and is a luxurious addition to your decor scheme. This item can be quickly mounted using the included hardware tools.